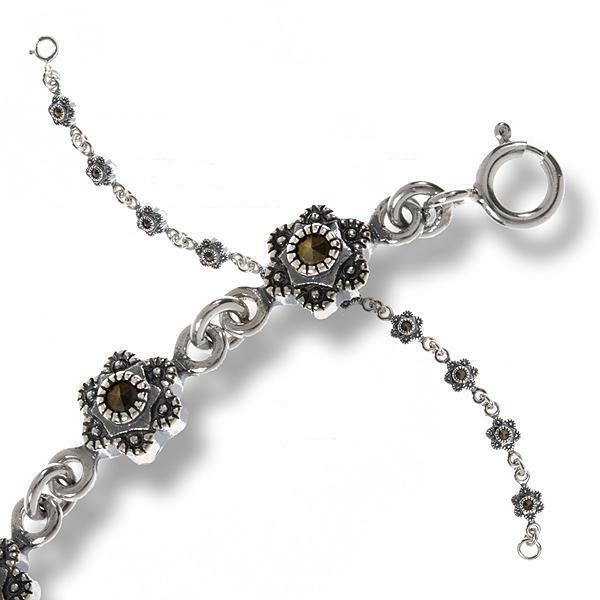 Childrens Marcasite Flower Bracelet Great gift for your daughter, granddaughter, niece or friend! (10)2mm round cut marcasites 6.25" sterling silver spring ring clasp Start Your Christmas Shopping Now! !